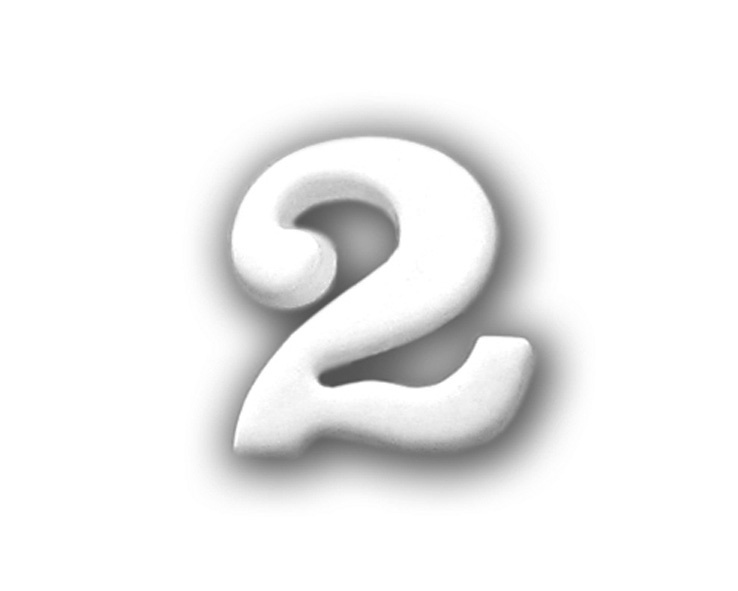 Numeral 2 Button, back loop to stitch, white color. Suitable for Advent Calendar. Material: plastic. High quality from Dill.